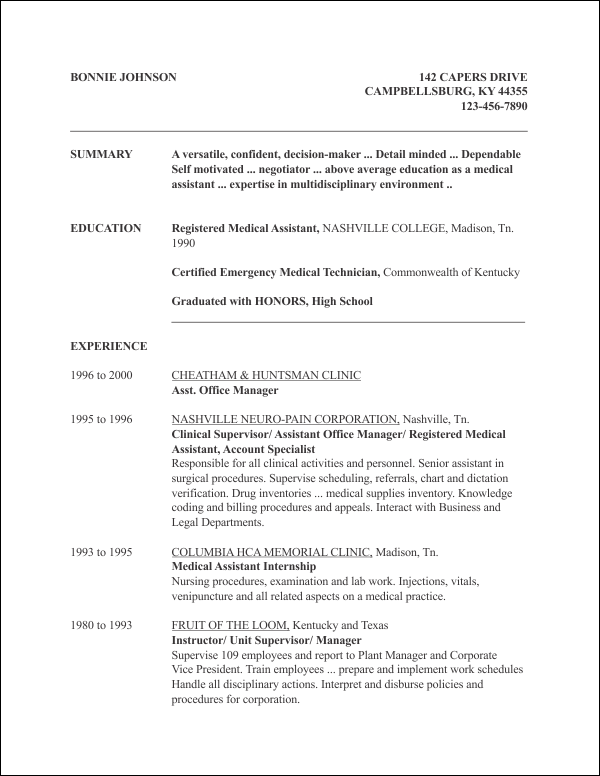 This free resume template includes a summary and abbreviated education history at top with a chronological experience history beneath. Potential employers can easily view the company information where you previously worked including location, title held, job functions performed and overall experience. Download and edit with your favorite program such as Word, Publisher, InDesign or Corel Draw.